PT Angkasa Pura Properti – PT APP or referred to as “AngkasaPura Property” is a rapid growing company in Indonesia that deals with property and real estate industry. Headquartered in Jakarta, the Company has core business in construction (property developer and contractor), trade and services. The Company’s main office is located at Center for Excellence Building, Jl Tabing No 16 Kemayoran Jakarta 10610. PT Angkasa Pura Properti is a property and real estate subsidiary company of PT Angkasa Pura I (Persero) or Angkasa Pura Airports Group, one of the largest state-owned airport management services companies in Indonesia. Currently, the majority of AngkasaPura Property’s shares are owned by Angkasa Pura Airports Group (99.43%). PT Angkasa Pura Properti was established in 2012 to develop a non-productive land owned by Angkasa Pura Airports Group. In term of financial performance, PT Angkasa Pura Properti has recorded a positive performance in 2014. 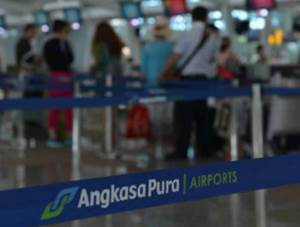 According to Angkasa Pura Airports Group Annual Report 2014 as cited by JobsCDC.com, AngkasaPura Property was able to record total operating income of Rp 17.773 billion in 2014, an increase by 397.95% from Rp 3.569 billion in 2013. Meanwhile, total assets of AngkasaPura Property grew by 29.74% to reach Rp 54.528 billion as at year-end 2014 as compared with Rp 42.028 billion at year-end 2013. Minimum Bachelor Degree (S1) from reputable university majoring in Electrical/Electronic Engineering or equivalent with GPA min. 3.00 within 4.00 scales. Strong sense of analitycal thinking. Good organizational and planning skill. Computer literate with expertise with Microsoft Office. Aplicant must be willing to work in every airport around Indonesia. Minimum Bachelor Degree (S1) from reputable university majoring in Mechanical Engineering or equivalent with GPA min. 3.00 within 4.00 scales. Minimum Bachelor Degree (S1) from reputable university majoring in Civil Engineering or equivalent with GPA min. 3.00 within 4.00 scales. Minimum 2 years of experience in the related field is required for this position, preferably as a Staff specializing in Customer Service or equivalent. Strong communication skill and good analitycal thinking. Minimum 2 years of experience in the related field is required for this position, preferably as a staff specializing in Engineering – Civil/Construction/Structural or equivalent. Computer literate with expertise with Microsoft Office and AutoCAD. Minimum Bachelor Degree (S1) from reputable university majoring in Accounting or equivalent with GPA min. 3.00 within 4.00 scales. Minimum Bachelor Degree or Master Degree (S1/S2) from reputable university majoring in Finance/Accountancy/Banking or equivalent with GPA min. 3.00 within 4.00 scales. Minimum 4 years of experience in the related field is required for this position, with 2 years in supervisor level. Preferably as a Supervisor / Coordinators specializing in Finance – General/Cost Accounting or equivalent. Strong leadership, highly driven to achieve goals and highly motivate person with high integrity. Past experience in Hotel will be higly prioritized. Willing to be placed at Denpasar Bali. Minimum Bachelor Degree (S1) from reputable university majoring in any field with GPA min. 3.00 within 4.00 scales. Minimum 4 years of experience in the related field is required for this position, with 2 years in supervisor/coordinatior level. Preferably as a Supervisor / Coordinators specializing in Property/Real Estate or equivalent. Strong leadership, highly driven to achive goals and highly motivate person with hgh integrity.